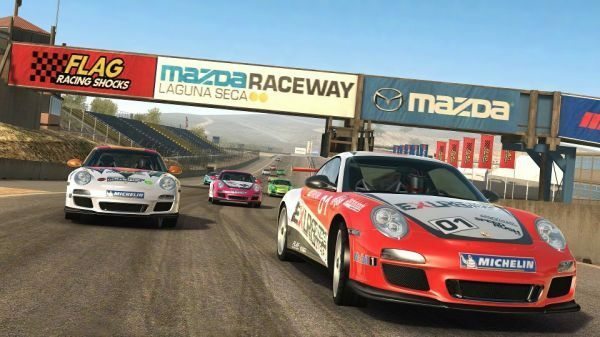 There are a large number of fans of the Real Racing franchise but many of these were frustrated with the news that the latest title will be heading down the freemium route, but the Real Racing 3 downloads proves free is the way to go according to EA. 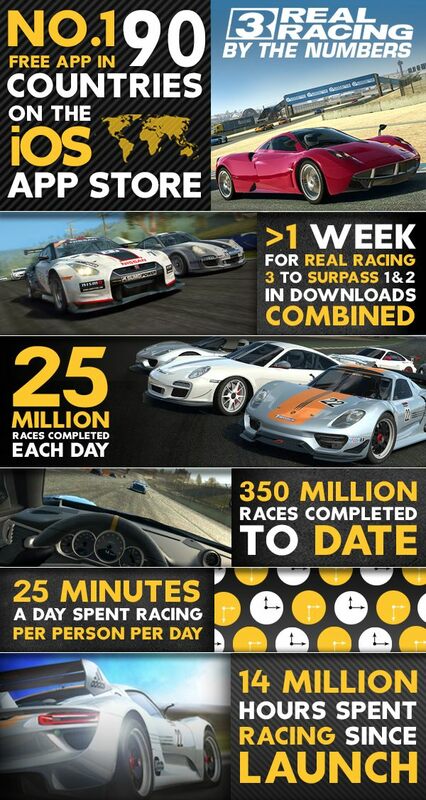 Real Racing 3 was released onto the Android and iOS platforms last month and EA has provided an infographic of the games success since it first became available to users that can be seen below. The policy of making the game free and having to unlock features or purchase certain items from within the app itself doesn’t seem to have affected the game though. During the first week of being available on the Apple App Store Real Racing 3 has been downloaded more times than the previous two titles have achieved in all the time they have been available put together. The game has been sitting at the top of the App Store ratings in ninety different countries as well. The information also points to a massive 25 million races are taking place every single day around the world, and over 14 million hours of racing has taken place since the game was first released. Other information is stating that the average user is spending 25 minutes playing the game each day, and 350 million races have taken place so far. I have played the game on both a Galaxy S3 and Nexus 7 with it performing well on both devices, but my son has proved to be far better at the game purchasing better cars along the way. If you have yet to download Real Racing 3 it can be found on the App Store or Google Play. How have you been playing Real Racing 3?